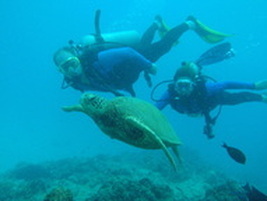 Oahu's visitors & locals for over 30 years. It is our hope that we can create one for you! 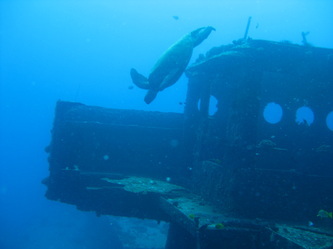 Includes: 2 tanks, weights, 2 dive sites, refreshments & guide. 1. Pick the day & trip you would like to dive. 3. Enter the code "aloha" in the promo code box. The price will change to reflect the special rate..
4. Add any rental gear you need then credit card info and you're good to go. 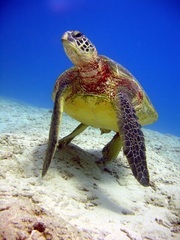 For 10:30 Sea Turtle Scuba Adventure, meet at our shop in the Marriott at 10:00. Thru main gate & 1st intersection, left on 5th St at football field. Thru gate, left at lighted info sign, straight up the hill. Turn right at first opportunity then follow roar until you find us.